Way back in time, to get a duplicate of your work was time consuming. You had to draw the product by hand. Dimensions had to be added, along with tolerances for fitting. The engineer had to break down the final product into size constraints to fit the machines they had access to. The machine operator had to be able to interpret the drawings. The machinist had to have a high level of skill, not only with operating the machine but in machining the different materials. This method was time consuming, laborious and often required many iterations to get it right. At the end of the day – there is still nothing like seeing the finished product in 3d in the hand. Being able to twist it and have the scale of your hand to gauge whether the product feels right. The computer revolutionised the design system into a CAD (computer aided design) system. Allowing designers to produce drawings quicker and more accurately. The computer allowed the product to be visualised on the screen. You still had to produce the product with expensive machines. Taking a lot of time to develop the final product. Development of the 3d cad systems has allowed the designers to draw in 3d, reducing time to market, prototyping times along with cost. Alongside the development of the cad systems, engineers were looking at the processes of making the prototypes. Machining was very time consuming, reliant upon machinists to interpret drawings. The introduction of computers to the machines allowed designers to take their drawings straight from the cad to the finished article. 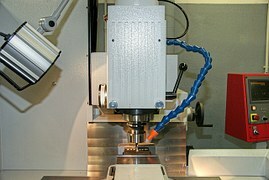 CNC (computer numerical controlled) machines still used the removal of material method (subtractive). The material size had to be greater than the item produced, similar to a sculptor removing material to reveal the sculpture. The ultimate goal was to print out their design in 3d, this was to come in the 1980’s. Machines were developed that used lasers to harden liquid plastic. This opened up the prototype process to being carried out in hours instead of days. 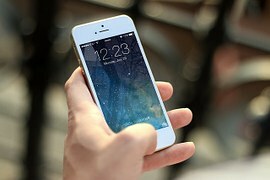 Numerous iterations could be done within the time that one prototype was produced in the old days. These machines were large, expensive and their consumables very expensive. The technology has rapidly developed in the last 30 years and there are now many industrial machines. The rapid prototype market is huge and advances are still being made in regards of quality, size and price. The process changed from using a liquid bath of plastic to using an extruder to add layers of material(additive method). Now only the limitations are the size of the machines themselves. So from the above there are two major ways of producing a 3d subtractive. On this site the majority of the reviews, processes are aimed at the additive method. There are pros and cons to both methods and some are listed below. From the above list you can see that there are many pros and cons to both processes. 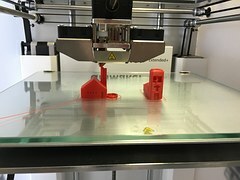 The main one which has opened up the home 3d printing market is the simplicity of the reprap (replicating rapid prototyper), a printer capable of producing parts of itself. Materials that can be used with the home printers are increasing rapidly. They are based on thermoplastics. The main ones are pla and abs with pva being used as support material. Most of the current printers are fitted with a single extruder, meaning models are produced in a single colour. Technology advances are working on the implementation of full colour printing. 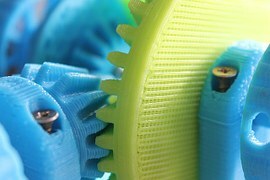 There are two extruder models, and these are used typically to add the support material for overhangs, rather than two colour printing. The other main disadvantage at present is the layering process of the printing, the finished model appears stepped. There are methods available as another process to smooth some materials, but this adds another process to the printing. The extruded process used by most of the home 3d printers is known as FDM (fused deposition modelling). Material is extruded layer by layer and due to the temperature of the extruded material it fuses to the layer it is placed on. The step of the layer is controlled by stepper motors, the number of steps – or microsteps- controlling the height of the layers. Along with the extruder nozzle. The other main problem with the home 3d printers is the time to produce the item. I do a little product design, so I have some experience with 3D printers. I don’t have one at home though. I feel the store ones are much better. The difference between the additive and subtractive is interesting though. It seems subtractive has some advantages over additive, namely no need for supporting structures and no limit to materials. Are these benefits that big of a deal? Hi – Thanks for stopping by. 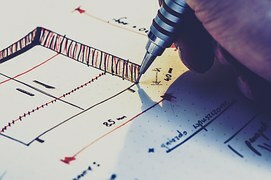 I would find the problem with the store ones the lack of adaptability – if you feel that you want to tweak one small thing you will need to get it printed again, or if you find you have made a small mistake in measuring something. I like the technical challenge of getting it right along with the ability to see my creation being made. Ok, it sometimes doesn’t work due to lack of experience but that is the challenge I like. The subtractive method is useful in certain circumstances – machining metal for example, as this is not easy with the home based additive printers. But there is a lot which cannot be done without a multi-axis subtractive machine where the item being machined needs to be rotated. These machines are large and expensive. So the basic ones for home use are more restrictive in what you can produce than the additive 3d printer. They are messier too with all of the waste needing cleaning up. I feel that the additive method has a major advantage over the subtractive in the amount of material needed to produce the finished model. 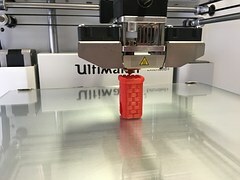 The additive machine can partially fill the internals of the model and it does not require a block of material to go to the extremities of the model. The additive method of printing is starting to be used in the aerospace industry for printing planes. In the future there is going to be a major push to use this technology to design the optimum vehicles. Hi Phil, most informative and interesting website. 3D printing is a subject that interests me, but I have not physically delved into due to the cost of home printers. However, what I’ve read about 3D printers sounds amazing and I am interested in getting more involved. I enjoyed the article on 3D printing in the aerospace industry, the industry I currently work in as an aircraft engineer. I must apologise about the late reply, you got caught in my spam filter – this has now been disciplined and won’t happen again. As an aircraft engineer you can see the need for exhaustive testing of 3d printed parts. The avionics world is a difficult one to break into with new technology as lives are at stake if it goes wrong. I can see a lot more printed parts being used in either repairs or manufacture in the future as this technology matures. This printer have a build volume of 200x200x240mm and can print most FFF materials on the market. If you really want to learn about 3d printing, to me, this is the way to go. You get to learn about what is underneath the covers of most 3d printers and are able to repair it if there is a problem. Upgrades can either be printed or are low cost, making it ideal as a starter machine. I hope you manage to get involved with the 3d industry. Thanks for taking the time to visit the site. 3 D printing is an amazing technology! Interesting and informative article, thanks for sharing! Thanks for stopping by Elektra, I am glad you enjoyed the article. 3d printing is going through an amazing growth stage at the moment. I can see these becoming more common in a lot of households with the next generation. There is a lot to be said for 3D printing in spite of some of the drawbacks. I honestly don’t think the length of time is a drawback when you consider how long it would take by other methods. Registration is a drawback if the program skips or there is any backlash. That usually happens when you are not watching. One other drawback is the plastic not adhering to the layer below and therefore making the structure weak. Thanks for this article, I particularly liked your coverage of the subtractive method. Hi Michael, thanks for stopping by and reading the post. I agree that there are a lot of fantastic advantages of 3d printing. the time can be a problem when it runs over 8 hours, as you state the problem will be there when you are not. the other thing is these printers are not silent so in the quiet of the night they sound pretty loud!! Normally there shouldn’t be a problem with inter layer adhesion as the hot end temperature is high for the material. Where there may be a problem is the first layer adhesion. If you don’t get the height off the build platform right you can have the printed item come loose after it is almost printed, which is really frustrating. There are techniques to overcome this, such as adding a raft or brim. The subtractive method has it’s uses, mainly in engineering and industry. the main method going forward will be the additive manufacturing.